Fig 1: Left left panel: Permanent urban resident: Striped field mouse (Apodemus agrarius), right panel: Urban newcomer: Yellow-necked field mouse (Apodemus flavicollis). Photo by Wiki-media commons. The striped field mouse naturally inhabits open areas such as terrains and fields, and frequents forest edges. It was described as a common species in the city of Warsaw by the early twentieth century, making it a permanent urban resident since then. The yellow field mouse favors areas with dense vegetation and was recorded in Warsaw less than 10 years ago, frequenting suburban areas. The authors of this paper set out to test differences in population size and reproduction of these two species. To do so, they captured mice around areas in Warsaw that differed in the degree of urbanization and at a forest outside of the city limits. The researchers found that the striped field mouse (permanent urban resident) has a greater population size in the city than in the forest. Urban residents of striped field mice population are also much larger than the city population of the yellow field mice. Males of the striped field mouse are more sexually active and bigger in the city than in the forest. 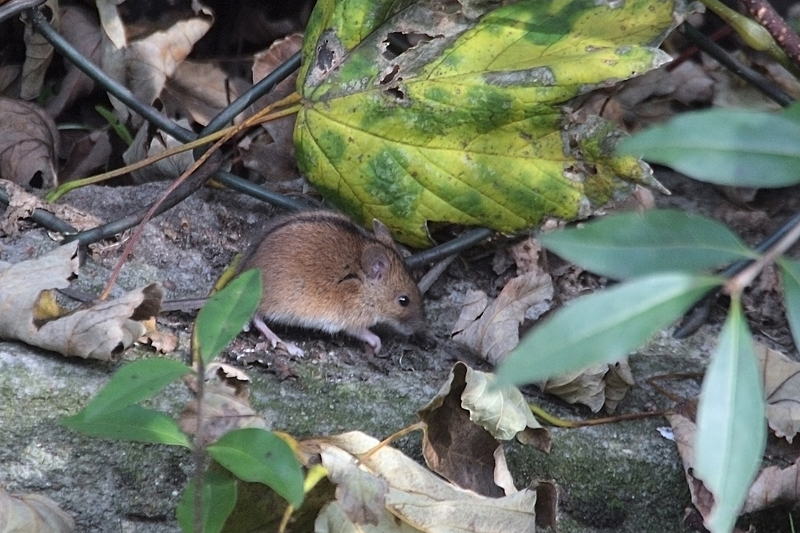 The bigger size of urban striped field mouse is possibly achieved because of easier access to food. In the forest, the yellow-necked field mice (urban newcomer) females are more sexually active than the females of the striped field mice. Fig 2. Percent of sexually active adults (top: Males; bottom: Females) from rural and urban populations. Percent of sexually active adults shown in dark gray and sexually inactive adults shown in white. Lines connect populations that differed. Overall the findings of this study show that time spent living in the city can lead to ecological differences within and between species. The striped field mouse has inhabited the city of Warsaw over 80 years longer than the yellow field mouse. In this time, the striped field mouse has become accustomed to city life and potentially exploits features of the city to achieve larger size which can influence reproduction. It’s unclear whether with enough time the yellow field mouse will also adjust to city life as well. What’s important is to continue monitoring these species and learning more about how urbanization can affect the ecology of animals and plants across the world. ← Is a warming arctic giving polar bears the cold?